Numerous minor updates to the Ultra pages - including two new ultras in Romania and China. This website has lists of over 10,000 mountains worldwide. 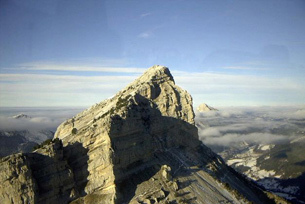 The website is designed to provide definitive lists of summits organized around the concept of topographic prominence. Peaklist does not attempt to list every mountain in the world; rather it introduces original and complete research in specific geographical regions, contributed by a wide number of researchers. To get started, you should browse the main lists page with lists and maps from around the world. In particular, peaklist.org holds four large bodies of original prominence data; the Ultras project, which catalogs all 1524 worldwide summits with 1500 meters of prominence; the US P2000 project, which developed the first ever dataset of 1234 summits in the lower 48 with 2000' prominence; the California Mountain Atlas, with all 4106 summits of 500' prominence; and the Spire Measure section which develops a rigorous methodology to describe the impressiveness of a mountain. Peaklist also extensively links to other prominence-derived research being conducted around the world. 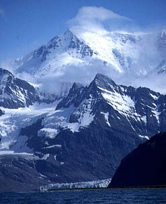 Mountain summits have long been known by their elevation above mean sea level. Now a growing community of climbers, mountain enthusiasts and mathematicians recognize that summits can also be measured by their elevation relative to the surrounding terrain. Prominence is the elevation of a summit relative to the highest point to which one must descend before reascending to a higher summit. All summits have a specific, non-arbitrary prominence. Prominence has generated considerable discussion and theory, and may be a central concept to a better understanding of the mathematical properties of the earth's surface. You can read about the underlying theory in the section titled Prominence Theory. But this site is not primarily about math and earth science. Here you will find a different kind of appreciation of the natural highpoints of the world. In addition to the original lists and maps of mountains you can hopefully learn more about the growing peakbagging subculture dedicated to prominence. This website is full of new information - covering both the well-known and the completely unknown. Hopefully peaklist will leave you with a greater appreciation for the wonderous diversity of montane landforms worldwide. This website went live on Sept. 30, 2004. Please send all comments and corrections to the webmaster. Authorship for lists and articles are on their respective pages. All other text and maps are ©2004-2011 by Aaron Maizlish unless otherwise noted. This website is for enjoyment and science only and is free to all. ... show me the world! Following are some direct links to in-depth pages of specific regions of the world. Contributors are welcome!!! The frontrunner list currently resides on www.cohp.org, this link will take you offsite. OFFSITE LINKS -- To the best non-commercial mountain and prominence sites on the web. Our 'companion' site - with lots of information for county-collecting, peakbagging junkies. A Canadian subscription site that will eventually list every peak in North America. Great prominence and lineage functions. Peaklist is a free site available to all interested parties. We intend to keep it that way. It is a labor of love (and madness) prepared by dozens of contributors. While the site authors are not motivated by money, it will continue to cost to grow the site. If you like Peaklist and want to see it grow, please take a moment to donate some money to the cause. But always feel free to use the site even if you do not wish to contribute. I have established a secure donation method through PayPal. If you already have a PayPal account its as easy as 1-2-3. If you don't, you will need to provide a credit card number to PayPal. PayPal is a large, secure online payment service used by millions of EBay and other online auction users. It's a great system. Thank you for your donation. All contents of this website are copyright ©2004-2006 by Aaron Maizlish, unless otherwise credited, and may not reprinted without express written consent. This site is designed for scientific inquiry and entertainment. The author(s) assume no responsibility whatsoever for actions taken by individuals as a result of information gathered on this website. Specifically, people are strongly warned not to climb mountains based solely on their inclusion on a geographical list. Some of the mountains on this website are off-limits to the public, on private property, military bases, and in regions of the world to which the authors would certainly advise any sane hiker against travelling. If you plan to hike any mountain, please inquire about local conditions and use all due precaution. You might be visitor number - according to www.digits.com.